Day one-Brenner to Matarello, 166kmI'm sitting overlooking a beautiful green valley, surrounded by mountains about 10km south of Trento. I've a huge smile on my face and a cold beer on the go. We can safely say day one of Giro de MurrayBrown has been a success. We are so lucky to have our dear friend catherine with us for the first two days. We first cycled with Catherine when we rode from Paris to her home city Geneva, in order to ride around Lake Geneva with her in 2012! We met Catherine in Innsbruck where we stayed last night, so we could get an early train to the Austrian/Italian border to start our adventure. I was slightly concerned when we got to the station and realised a lot of other people were going to be taking their bikes on the same train. No need to worry. Austrian trains very much cater for cyclists, unlike their uk counterparts. By 0900 we were at Brennero and ready to ride south. The directions were simple: ride 90km to Bolzano then take a right towards Trento for about another 70km. Rich and I have spent a long time planning our route but what we didn't expect, was to find the most incredible cycle path, most of the way from the border to Trento. 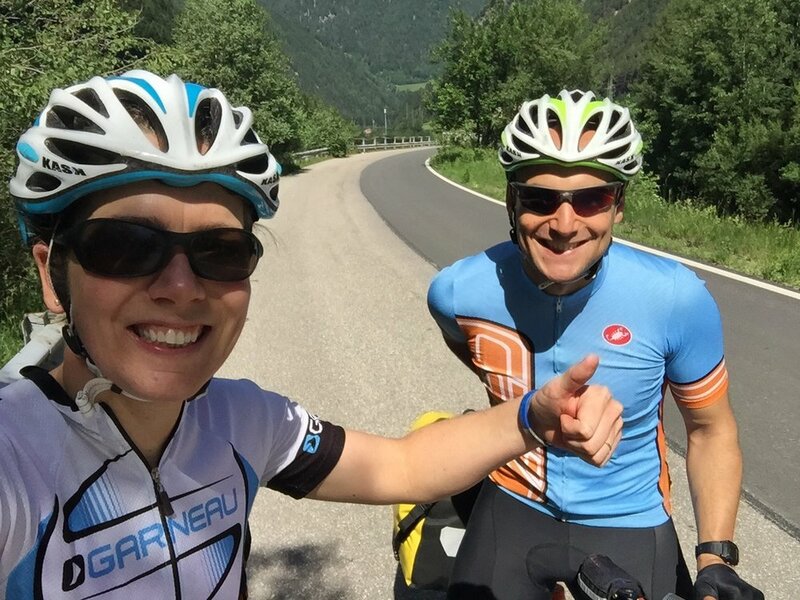 We took the road for some of the section to Bolzano but then followed the cycle path all of the way to Trento. If you want stunning scenery and smooth surfaces get yourself out here! 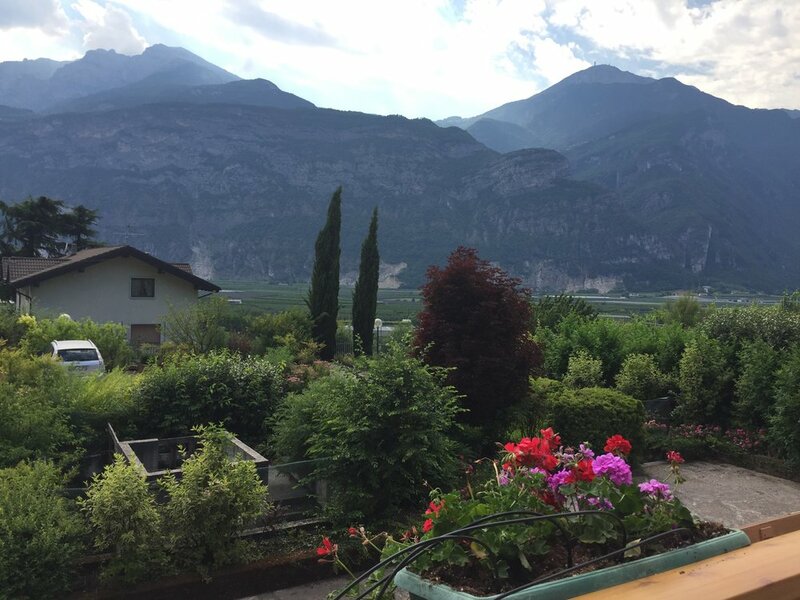 Food wise: coffee, a pretzel, fruit and yogurt for breakfast, one tribe bar mid-morning, a cheese and ham sandwich and a fresh orange juice at lunch, 500g fresh cherries split between three, an apricot and a fresh apple juice at a fruit stall south of Bolzano. And I did have to crack open another tribe bar when I was on the verge of a rather hangry moment just a few km north of Trento. Pizza is being ordered. The sun is setting. Tomorrow Lake Garda's calling.